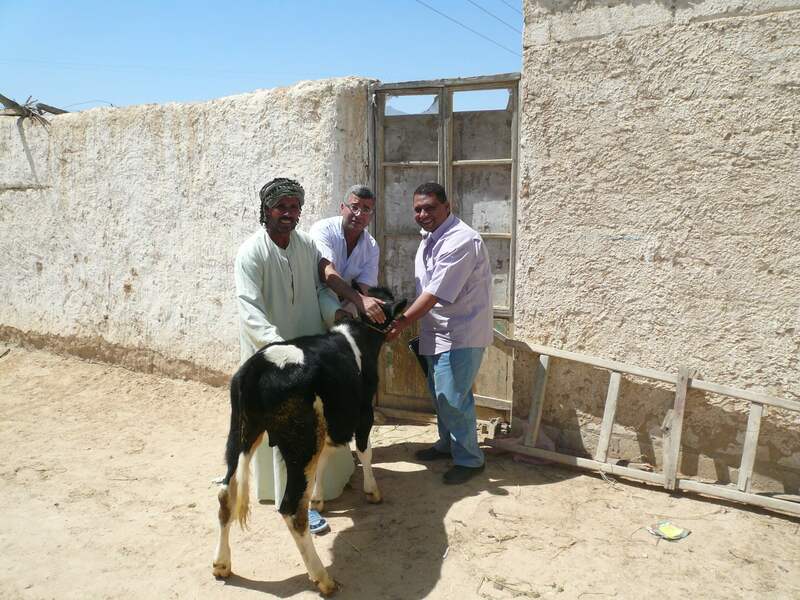 To help small-scale farmers in Egypt develop their businesses, the Milk Collection Communities project has set up collection centers offering logistical support and agricultural services. Training is provided to support dairy farmers, helping them earn a sustainable income. In Egypt, although very small farmers produce 80% of the national milk supply, they are in a very weak position and unable to defend their interests. Milk prices are low and a lack of price transparency is encouraging fraud and causing mistrust. Milk quality improvement, meanwhile, is a challenge for Danone, which needs to meet its quality criteria to ensure consumers get the best products. By supporting small-scale farming in Egypt, Danone Egypt wishes to diversify its milk sourcing, increasing the volume available from local communities. With the support of the Danone Ecosystem Fund, Danone Egypt and its local partner CARE Egypt, the Milk Collection Communities project is setting up new collection centers and renovating existing ones to meet new quality standards. To implement the project, a team has been trained to provide quality monitoring and manage the centers’ logistics, as well as those of the associated services (such as feed, veterinary services, etc). Small farmers also have the opportunity to be trained on hygiene, milking, veterinary services, governance and organization. As well as empowering small farmers by improving their revenue and expertise, Milk Collection Communities creates jobs in the milk collection centers themselves. In supporting the development of dairy farming in Egypt, Danone Egypt intends to secure the quantity and quality of its milk sourcing and strengthen its relationships with local producers.